A West Australian native, he quickly became a cult figure because of his aggressive nature playing with Port Adelaide in the SANFL. He arrived at the club in the same draft (2014) in which the club landed Dougal Howard, Logan Austin and Jesse Palmer. It has taken him some time to make his mark at the club because of injuries, including a shoulder reconstruction towards the end of the 2017 season. In all, Frampton has played 42 SANFL games, primarily in the ruck, but he has a good set of hands and can take a strong mark. He has also spent some time playing as a forward, booting 18 goals since 2016. The 21-year-old’s talent, strength and agility was on show in a best-on-ground performance against Adelaide last season in which he took a number of strong marks and booted three goals. In his most recent outing for the Magpies on Sunday against Central District, Frampton had 20 hit-outs to go with 12 disposals, four marks and two tackles. He also booted a long goal after marking directly in front outside 50, which you can watch in the video below. Coach Ken Hinkley said Frampton had earned his opportunity to make his debut against the Bombers. 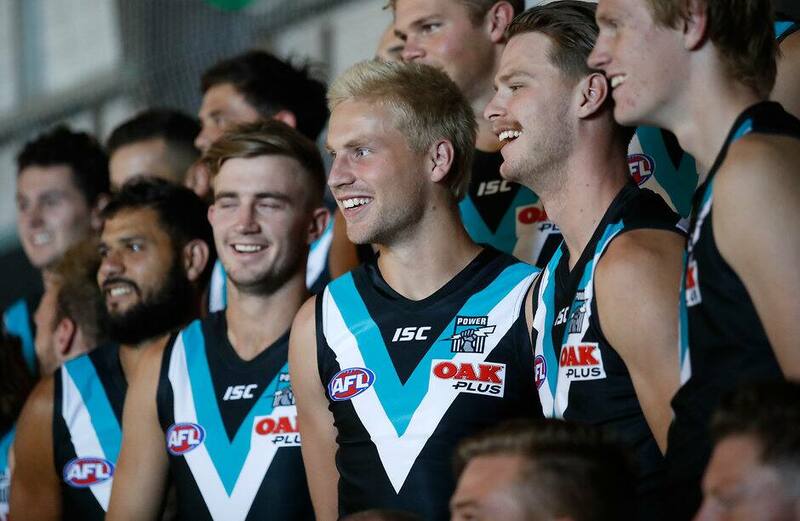 "We've wanted Billy to build his season and be in the position to compete at AFL level and this is going to be a real challenge for Bill, but one we're excited by," Hinkley said. "Essendon have got (Tom) Bellchambers out, too, that probably helps Billy a little bit, he's going to come up against not a game-to-game ruckman. "Albeit that will probably be a (Matthew) Leuenberger-type ruckman, so he's still going to be high quality."